As we head into a new season of intentionality in disciple-making at Harvest, we are committed to being more cohesive in our approach to community, counsel and care. To do this, we need leaders who are trained and ready to lead with humility, teach with wisdom and shepherd with integrity. In 2019, we are training all of our church leaders in the core principles of shepherd leadership by partnering with Great Commission Collective as they stage regional Purposeful Disciple-Making workshops. These workshops will focus on leadership development and practice across the discipleship journey by training participants in the convictions and skills of shepherd leadership. Cultivating a Culture of Care and Disciple Making is a training designed to help small group leaders, apprentices and coaches shepherd their people well. 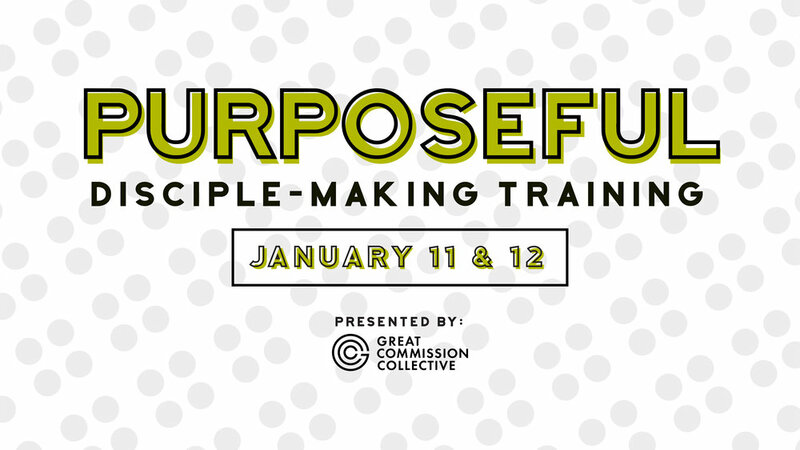 There will be six sessions focused on why small groups can be a crucial element of mature disciple making. Several sessions will focus on helping leaders to cultivate mutual care in and outside of small group. Participants will be equipped to both draw out the heart to get to core issues as well as how to speak into the heart with truth and love. We will share best practice tools for directive soul care. To make learning come to life we will have practical breakouts where we immediately discuss or practice new insights and skills. Finally, we will explore how to multiply healthy leaders and healthy groups based on maturity and good preparation. We are asking all Harvest Elders, Deacons, Small Group Coaches, Small Group Leaders, and potential Small Group Leaders to attend this workshop. See below for the schedule and follow the link to register.